Sometime in the last century, producers of pop culture discovered that science fiction and fantasy mixed with visual special effects and action makes for both popular movies with the general public and money for the corporations behind them. Between the various subgenres, including superhero movies, such efforts that were once B movies on Saturday afternoons are now dominant on lists of popularity and cash flow, even garnering the occasional critical award. As I’ve been surfing through streaming media, I’m finding lots of genre films without the effects, big bangs, and superpowers. None of these three really grabbed me, but they did have interesting concepts. 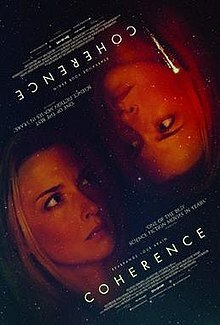 The first one I viewed a few weeks ago, Coherence, isn’t really a science fiction piece as I would describe the genre. It’s really a fantasy. A comet passes the Earth (not an original film idea) and a dinner party fractures into weirdness when the power goes out. The characters talk a lot and go exploring in a dark neighborhood that is more–and less–than it seems. As the weirdness persists, characters begin to do things that don’t make a whole of lot of sense. 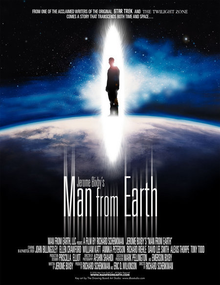 Number two, The Man From Earth has the most to suggest to the viewer in terms of religion and faith. John Oldman is a university professor who has gathered friends for a farewell. He confesses to them he is an ageless man who was born at the end of the Ice Age, fourteen thousand years in the past. Every decade or so, he moves on, creating a new identity, and keeps himself a secret from society at large. It’s an interesting concept that gets a lot of discussion amongst his friends who move through distaste for what they perceive as his humor, then anger and outrage as the story gets deeper, touching on the roots of science, religion, and believability, of course. There is a revelation about two-thirds into the movie that would be shocking for a person of faith. And I’ll leave it there. The last one was less talky and personal in terms of the premise and interaction of the characters. 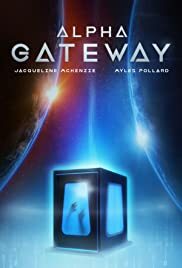 In trying to develop a “Star Trek” style transporter, a scientist and her assistant uncover gateways into parallel universes. So far, okay. A lot of scientific breakthroughs begin as researchers explore one area and find some new discovery or application. Dr Chandler has recently lost her husband to an auto crash and finds an alternate universe where he lived. What happens when you bring back a dead person? What happens if the “dead” person wants to stay? (He reports that she, not he, died in his timeline.) Turns out that the parallel realities differ in some significant things–not just the look of computers in the lab. What’s interesting is that the first universe is nearly idyllic: parks, sunshine, and a pleasant life. It turns out the living Mark Chandler comes from a somewhat darker planet Earth where bad things happen more often. As the characters travel back and forth, they find returning to the original is much more difficult. And some alternate places are very dark indeed–literally. Some questions these films try to answer. Would you turn against your friends and loved ones when disaster strikes? Would you want to live for thousands of years? And if you chose to live forever, could you bear to see loved ones age and die, or would you choose to abandon them rather than give away a precious secret? What price would you pay to bring the dead to life? Good science fiction makes a person wonder, imagining themselves in the situation presented by the film or book. These three movies each present a thoughtful premise. They do so with little or no special effects, and often with just talky stuff–like a dinner party.